Jane of Air is a collection of ideas and inspirations that can be easily seen throughout the book. The most obvious inspiration is Emily Bronte’s classic work Jane Eyre. This is one of my favorite novels, but it suffers quite a bit with time. When I reread this book, there were parts of it that actually hurt to read despite the beauty of the work. The romance teeters on the edge of pedophilia when viewed through modern eyes. A rich older man toys with a lost teenage girl to gain her affections. He locks his mentally ill wife in the attic when she becomes inconvenient. With a rereading, Mr. Rochester is kind of a monster. My goal with Jane of Air, was to create a less horrible Mr. Rochester and twist the story into a modern Gothic, horror story. So my major inspirations for doing this were many. Jane Eyre: The Classic Novel served as the basic plot template for the novel. H.P. Lovecraft: Lovecraft could be called the father of modern horror and his notion that ancient evil sleeps just below the surface of reality waiting to break free is the thematic backbone of the novel. His elder gods and mythology are the inspiration for the evil that lurks in the shadows of Thornfield Hall. Twilight: My overall frustration with this book served as my desire to create a new type of male lead. As a therapist who works with teenage girls, I don’t think it is healthy for us to teach young girls that older men who stalk them should be their romantic ideals. I think they should have romantic ideals that are age appropriate and aren’t prone to stalking. The Door: This was my first published short story. It was flash fiction piece about two lovers who accidentally open the door to hell with their love. The girl has a door tattooed on her back that opens as her love deepens. 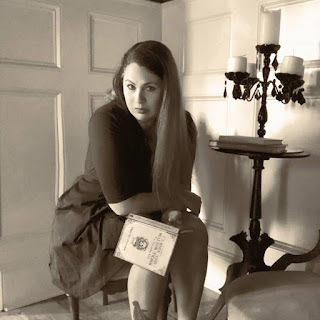 Katherine Arden’s The Girl in the Tower: I loved this book. I love all her books. 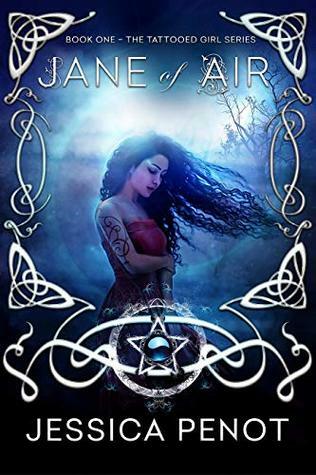 I tried to pull the dark fairy tale elements of this book into Jane of Air. There is beauty in dark magic and I try to keep that feel throughout the book. The Devil’s Bible by Dana Carpenter: Another one of my favorite book, this novel plunges a heroine who is powerful and smart into a world of magic drawn from darkness that she must learn to control. This is the basic framework of my novel as well. Wuthering Heights: Quote from Charlotte Bronte’s masterpiece of thwarted love and broken hearts litter my book reminding readers that love can be dangerous. My own work with teenagers; I am a therapist and I spend a lot of time with teenage girls who tend to idealize romantic love as the answer to their problems. In this book, I emphasize romance, but I also thematically try to emphasize the danger inherent in getting lost in it and letting go of your own dreams to chase it. My sons: I have two teenage boys. I tried to create a male lead that could be more realistic. He doesn’t sit around all day dreaming about the heroine. He has his own life and interests and when things do get to the point where they become obsessive, it is clearly unhealthy and destructive. Ghost Stories: The many collections of ghost stories I have written pop up in the horror aspect of Jane of Air. Submit a description of your favorite ghost story to the author at her email Jessica.penot@gmail.com and enter to win a new kindle fire. Best ghost story wins. All stories eligible to be places on my website, www.hauntingdarkness.com. This giveaway is open to everyone!